Virat Kohli bagged all three top ICC awards- the Sir Garfield Sobers Cricketer of the Year, ICC Test player and ICC ODI player of the Year- for his stupendous performance on the year 2018 besides being named the captain of both the Test and ODI Team. Kohli became the first player ever to grab all the three ICC awards after he accumulated 1322 runs from 13 Tests and 1202 from 14 ODIs and 211 from T20Is. "It feels amazing. It's a reward for all the hard work that you do throughout the calendar year. I feel really grateful and very, very happy with the team doing well at the same time myself performing. Having recognition at the global level from the ICC is something you feel proud of as a cricketer because you understand that there are many players playing the game," Kohli said. "To be rewarded in this manner from amongst all of them is obviously a very proud moment for me and something that gives you more motivation to keep repeating the same things because you have to keep the standard of cricket up and keep bringing consistent performances. From that point of view, these awards give you that extra motivation." This is the second occasion where Virat Kohli has won the Sir Garfield Award after receiving it back in 2017. He also won the ICC ODI Cricketer of the Year award back in 2012 and 2017. Meanwhile, accolades came in the way of Rishabh Pant, as well, who won the ICC Emerging Player of the Year award. Apart from Kohli, two Indians made it to the Test team of the Year- Jasprit Bumrah and Rishabh Pant. Both Bumrah and Pant had a breakout debut year in Test cricket. 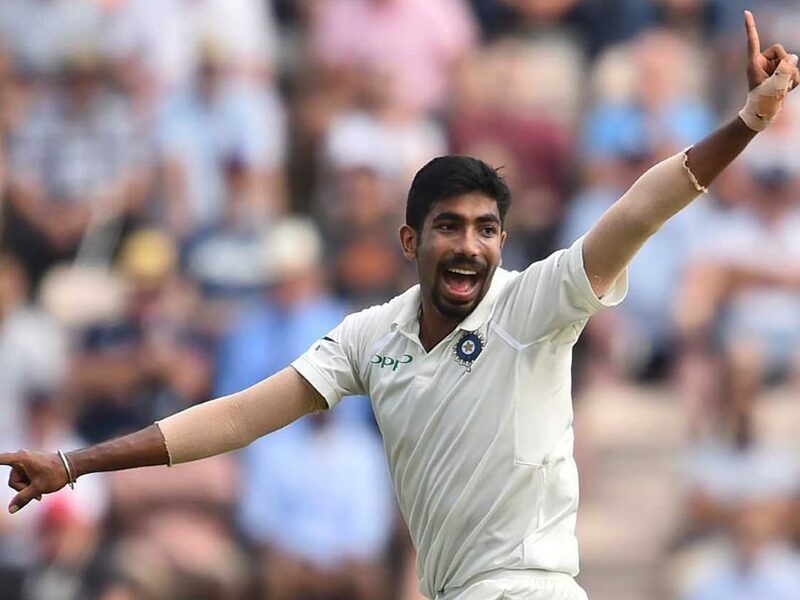 While Bumrah claimed 48 wickets in 10 Tests at an average of 21.02, Pant made two hundred and a couple of 90 to back it up with a World-record-equalling 11 dismissals by a keeper during the Adelaide Test. Test Team: Tom Latham [NZ], Dimuth Karunaratne [SL], Kane Williamson [NZ], Virat Kohli [IND, C], Henry Nicholls [NZ], Rishabh Pant [IND. WK], Jason Holder [WI], Kagiso Rabada [SA], Nathan Lyon [AUS], Jasprit Bumrah [IND], Mohammad Abbas [PAK]. In the ODI Team, apart from Kohli and Bumrah, Kuldeep Yadav and Rohit Sharma made the cut. Sharma scored 1030 runs at an average of 73.57 in the last calendar year while Bumrah claimed 22 wickets in 13 innings at 16.63. left-arm chinaman, Kuldeep Yadav had a breakout last year where he racked up 45 wickets at an average of 17.77. Rohit Sharma [IND], Jonny Bairstow [ENG], Virat Kohli [IND, C], Joe Root [ENG], Ross Taylor [NZ], Jos Buttler [ENG, WK], Ben Stokes [ENG], Mustafizur Rahman [BAN], Rashid Khan [AFGH], Kuldeep Yadav [IND], Jasprit Bumrah [IND].